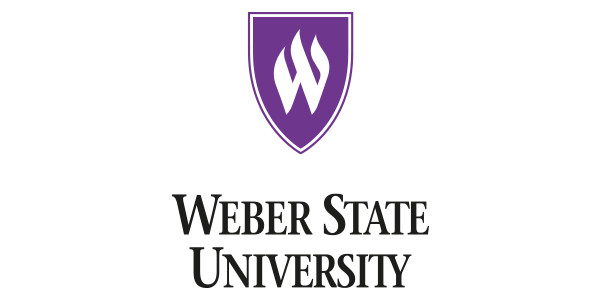 Weber State University is an exceptional comprehensive university providing associate, bachelor and master’s degrees to meet the needs of the region. WSU graduates are broadly educated, capable and prepared for meaningful careers, graduate and professional schools, and civic engagement. The hallmark of the university is excellent teaching with extraordinary interactions between faculty and students. Weber State University offers over 225 separate degrees/programs – the largest and most expansive undergraduate program in the State of Utah. With a student body of over 25,000 drawn predominantly from Utah, but also including students from 50 states and 49 foreign countries, WSU takes pride in its student-centered environment for learning and believes that quality education is founded upon close associations between faculty and students. WSU is distinguished by outstanding academic programs that recruit motivated students to work with faculty to create and share knowledge. More than fifty academic departments and programs in seven colleges provide learning opportunities for a diverse spectrum of students, including grants and support for undergraduate research, community-based and service learning, an Honors program, and a Bachelor of Integrated Studies (BIS) program. The Office of Undergraduate Research (OUR) and Community-Based Learning (CBL) program help to engage students in learning both inside and outside the classroom, and the Honors program provides small classes in a rich, supportive, and challenging academic setting. The BIS offers students the opportunity to design their own degrees with three areas of academic emphasis meant to prepare them for specific career paths or graduate study. Academic studies are complemented by a wide range of extracurricular activities, including student government, intramural and intercollegiate athletics, and award-winning performing arts groups. In addition, the Student Success Center along with the First Year Experience program helps new students adjust to the university community, while a variety of support services aid those with particular needs. The WSU Ogden campus has 60 buildings on 526 acres that house abundant classrooms and laboratories, excellent student computing facilities, outstanding performing arts auditoriums, a spacious library, and a well-equipped health and fitness center. An area of continued growth is WSU-Davis, which provides instruction to students on a new high-tech campus in Layton. In addition to its Ogden and Davis campuses, WSU offers courses throughout the state and Intermountain West and is a leader in online instruction.